Today’s saturation of bad news and its constant reminders of our “impending doom”, has undoubtedly created a worldwide need for reassurance and progress. 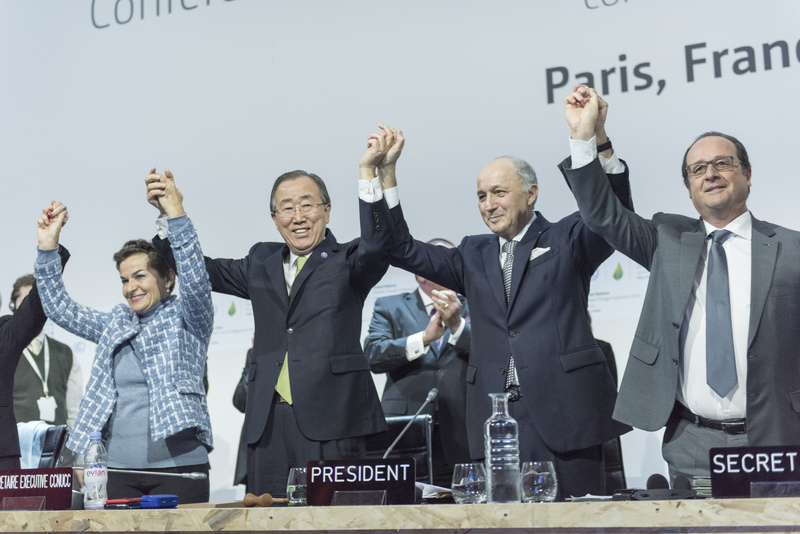 One ground-breaking leap forward for the planet was the formation of the Paris Climate Agreement in 2015. Created within the United Nations Framework Convention on Climate Change, the accord is committed to igniting international response and action. The overall goal is to limit global warming to well-below 2 degrees this century, while also improving the ability of countries to manage the forthcoming impacts. Despite Trump’s internationally criticised withdrawal in June 2017, the agreement is driving the incredible change vital to our world’s survival. So, to help restore your faith in humanity and lift some spirits, here are 5 examples from across the globe of the Paris Agreement in action. France became the first country in the world to make it illegal to produce or drill for oil and gas in the country and its overseas territories. They are working towards closing all coal-fired power plants by 2021 – two years earlier than initially planned. Along with shutting their oil and gas productions down, France will also be banning the sale of diesel and petrol cars by 2040. India is also making incredible progress under the Paris Agreement. Last June, more than 1.5 million volunteers came together to plant 66 million trees in just under 12 hours! In this record-breaking bid to fight climate change, over 20 different sapling species were planted along the Narmada river. As the third largest carbon emissions producer in the world, India is working towards increasing its forests by 5 million hectares before 2030. In Germany, free public transport has been proposed to help to reduce road traffic and combat pollution. Before the year is up, Germany will have tested this proposal in five cities across the country, which includes the old capital Bonn. The most successful measures will then be implemented in all other cities affected by pollution. Twelve major cities will be buying only zero-emission buses from 2025, while also making major areas within their boundaries free of fossil fuel emissions by 2030. These cities – which include Paris, London, Cape Town and Auckland – are creating tougher environmental targets to acknowledge the urgency of achieving the Paris Agreement’s goals. Striving to curb greenhouse gas emissions, these cities will promote walking, cycling and public transport, while also creating more parks, pedestrian zones and roads only for electric cars. Don’t lose hope on humanity just yet. If these examples of progress prove anything, it’s that when people unite, powerful change happens.